I'm not usually at the forefront of a movement. In fact, I'm usually several years behind the latest fad. This may be the start of something new for me and for you . . .
My friend, Kimberlee Conway Ireton has a dream of gathering people together who love old books and the wisdom they contain. She quietly admitted in her April blog post that she has "shelved" this idea, for now. 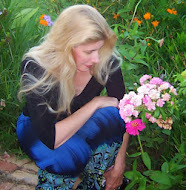 True to her encouraging nature, our friend, Jody has taken the seedlings Kimberlee planted and coaxed them into bloom. #ReadUpstream is that bloom. What writer isn't first a reader? and what reader, having read something that inspires them, doesn't want to share that inspiration? There are many blogs about "what I read last month" - the difference here is that the books in our "stream" may be a little older (perhaps wiser) or a little out of the ordinary. I've been working through this book for months, chapter by chapter, and discussing it with a dear friend. It's so good, I often re-read the chapter before moving on to the next. I'm reading this series for, probably, the 3rd or 4th time. I love Dee Henderson's writing style and the practical, biblical, truths that she shares. Each of the seven O'Malley's have a different obstacle to faith. An interesting read. Kimberlee introduced me to Elizabeth Goudge through one of her "what I'm reading" blog posts last year. Since then I've been finding her, hard to find, books anywhere I can. A collection of short stories. A delight. Such a treat! I love having this on my phone where I can grab a quick read whenever I'm in the waiting room, waiting in line, waiting for someone to get ready . . . The first Lord Peter Wimsey novel. I'm going to have to come back and read this again when I have time to read it all at once, or at least in a matter of days. Reading it hodge-podge has me completely lost. I'm enjoying these amusing and heartwarming short stories by my blogger friend, Kelly Chripczuk. Well, that's my list. Hopefully, by this time next month, I will have finished some of these have more to share with you. I'm always looking for new (old) and unusual reads, so please share what you're reading in the comments. You can find more #ReadUpstream posts by searching the hashtag on Google. Enjoy!